All music composed by Tim Garland. 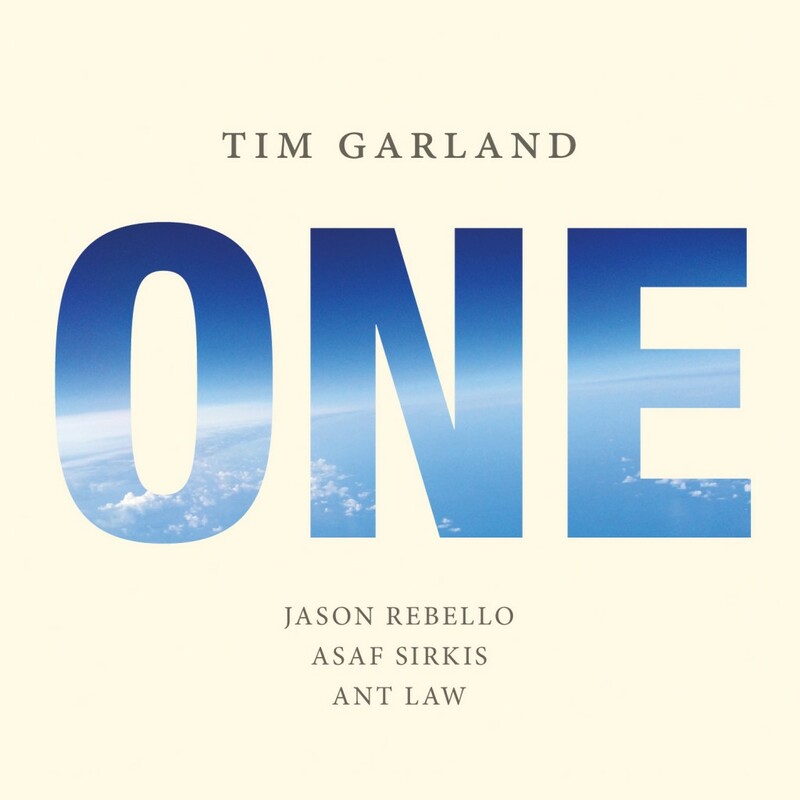 One is the new, highly energetic and unifying studio album from Tim Garland. Working with his regular collaborators Jason Rebello, Asaf Sirkis and Ant Law, the sax maestro has dug back into his past and re-examined his early interest in jazz-rock styles. With One Tim explores many of the influences that have guided him from the beginning, such as jazz-rock (his Canterbury roots); saxophone players from both sides of the Atlantic; the Celtic guitar music from long running project Lammas; the Latin and Spanish inflections that are so deeply a part of Chick Corea’s music; and a variety of rhythmic patterns learned from drum maestros Bill Bruford and Asaf Sirkis. Asaf taught Tim the ten beat, Middle Eastern Sama’i. On ‘Sama’i For Peace’, Hossam Ramzy adds Egyptian percussion. He’s also on ‘Colours Of Night’, and ‘Foretold’ where the groove he sets up on the karkabu (giant metallic finger cymbals) and doholla (deep darbouka drum) is mesmeric. One is a studio album and Tim’s taken the opportunity to add occasional keyboard colours with Asaf layering Udu and Darbouka, and vocals, over his own drumming. One theme features six layered saxophones rather than just one, and, as this is his most percussively driven album to date, a little percussion of Tim’s own (as he does on stage). Jason Rebello and Tim have worked together for 25 years, and his always unforced, honest improvisation extends to keyboards as well as to piano; the Rhodes is quite a feature in this project, providing a wonderful fat bass end, a register Jason shares skillfully with the lower end of Ant Law’s mighty eight string guitar. Ant Law is a relative newcomer to the group, but plays all four types of guitar on this disc with balanced beauty, accuracy and youthful passion and like the (slightly) older ones, he is drawn to different meters and rhythms that have their origins around the globe. London is home to a fairly frequent arms fair and in 2015, among the countless reports of refugees and bombed out cities in the news, there was scant mention of this huge and lethal profiteering opportunity going on at the very same time. ‘Pity The Poor Arms Dealer’ was written in a state of almost breathless disbelief as the media busied itself distracting the population from the connections that are most certainly there, well nurtured by our governments. Dionne Bennett’s powerful, unique vocal illuminates this song in a singular, colourful way: part campfire protest song, part soapbox lament. Recorded between June 2015 and January 2016 at Masterchord Studio by Isa Khan, Woodworm Studio by Stuart Jones and Eastcote Studio by George Murphy. Mixed at Candle On The Moon Studio by Anis Finn.